We had a great evening at Theater Münster last Sunday (06/01/14) with the Quintet. Fantastic venue and audience. 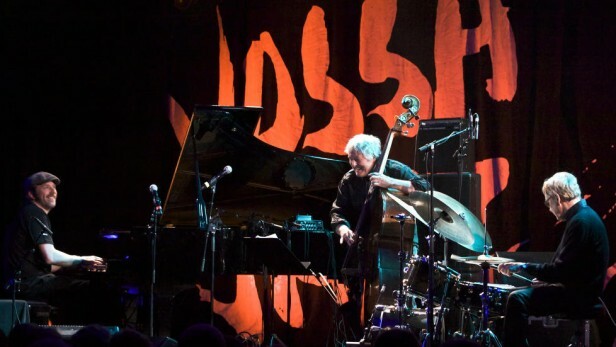 Mit dem Auftritt des norwegischen Bassisten Arild Andersen und seiner Band öffnet sich das Klangspektrum auf Superbreitwandformat. Andersen eröffnet das Set mit lang gezogenen, kräftigen Basslinien, die imaginäre weiträumige Fjord- und Tundra-Landschaften zu beschallen scheinen. Selbst als seine Mitspieler einsteigen, gibt Andersen kein Dezibel nach. Trompete (Tore Johansen, Norwegen), Saxofon (Tommy Smith, Schottland) und Piano (Marcin Wasilewski, Polen) müssen sich gefallen lassen, dass der Kontrabass hier Primus inter Pares ist und nicht mehr nur Bestandteil der Rhythmussektion mit Patrice Héral (Frankreich) am Schlagzeug. Nur wenige Bassisten haben sich in Jazzbands so deutlich emanzipiert wie Altmeister Andersen. Und nur wenige wie er sind so emanzipiert, dass sie sich technischen und musikalischen Extravaganzen gegenüber dermaßen aufgeschlossen zeigen: angefangen von Loops bis hin zum Sprechgesang und Beatboxing seines Schlagzeugers. Der absolute Höhepunkt bei den Vereinten Nationen. Mehr Elektronik, noch viel mehr Wumms: Die alte Schule zelebriert das Quintett des norwegischen Bassisten Arild Andersen. Die beeindruckend lang zusammenspielende Combo taucht tief ein in den elektrischen Jazz der 1970er Jahre, holt allerdings keine verstaubten Oldies aus der Kiste, sondern zelebriert ihre sehr erfrischende, ansteckende und kraftvolle Musik. Andersen bleibt mit einer durchdringenden Bass-Kulisse unüberhörbar Chef im Ring, verarbeitet seine Loops zu zauberhaften Soli. Seinen Kollegen lässt er ebenso viel Raum zum Brillieren. Pianist Martin Wasilewski passt überraschend gut in das Konzept, droht aber stellenweise unterzugehen. 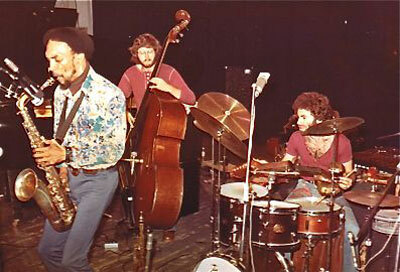 Mit prägnanten Bop-Elementen unterstreichen Tommy Smith (Saxofon) und Tore Johansen (Trompete) die treibende Dynamik der Kompositionen. Da ist die indische Vokalakrobatik von Drummer Patrice Héral nur der i-Punkt für ein grandioses Finale von Jazz In­between. 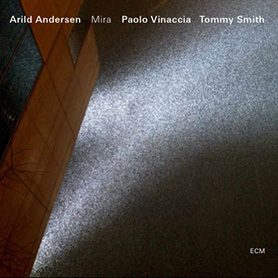 What better way to celebrate the 40th Anniversary of ECM Records than with an album of compositions that are indelibly linked to the label and the artists who record for it; and who better to perform it than one of the label’s longest serving musicians, Arild Anderson as the soloist with arguably Europe’s leading big band. Anderson needs no introduction. 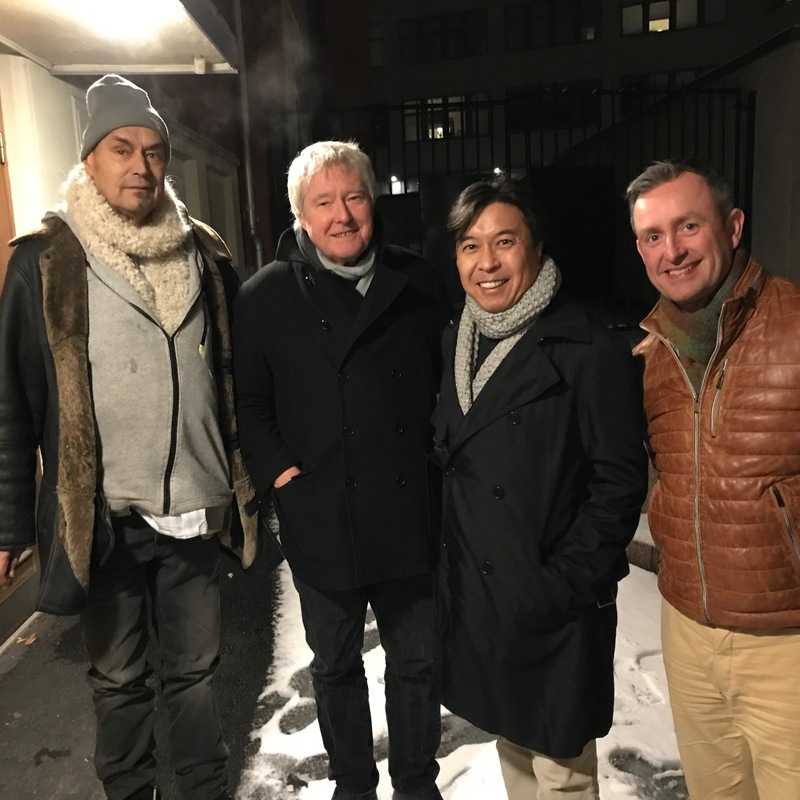 One of Scandinavia’s finest bass players, who has worked in numerous aggregations as leader and sideman for ECM, and a soloist who is more than up for the challenges that this project was to throw at him. The selection of the Scottish National Jazz Orchestra, however, would not have been a foregone conclusion but even the most casual listen to the music endorses whole heartedly that the right decision was made. The last few years has seen the SNJO develop into a world class orchestra, able to handle material from the classic big band era and composers to contemporary commissions and works from the leading musicians around the globe. The compositions on this live recording features newly commissioned arrangements from six arrangers from the UK, Europe and America that cast new light on such familiar material as Chick Corea’s ‘Crystal Silence’, and ‘My Song’ by fellow pianist Keith Jarrett (arranged by Makota Ozone and Geoffrey Keezer respectively); but it as a complete entity that this project is realised so successfully. With superlative arrangements, a master soloist in bassist Andersen, and an ensemble as flexible as the SNJO the album is captivating from start to finish, and in an era of overlong CDs one has to lament the fact that this is not a double album. In an hour long programme it is impossible to single out individual tracks as the main event of the night. From the opening ‘May Dance’ (featuring the orchestra’s director, Tommy Smith’s tenor solo), Mike Gibb’s arrangements of Anderson’s composition ‘Independency, Part 4’ to the beautifully structured and dynamic ‘Ulrikas Dans’ by Trygve Seim (incidental y the only composer who has a hand in re-arranging his own composition for the orchestra) Arild Andersen and the SNJO provide a truly fitting celebration for the music of ECM. 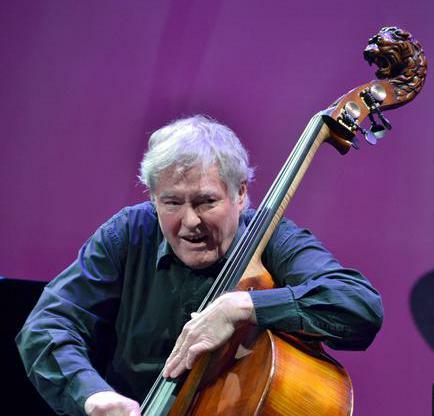 Arild Andersen’s group is arguably one of the best European teams right now. Finally, we listen to his singing, warm double bass along with a Scottish saxophonist Tommy Smith and Italian drummer Paolo Vinaccia.Ilama, ilama by Tommy Smith, free after a folk song from Yemen, starts and just give the concert wanting more when Arild played «Rossetti». Arild Andersen lets each note subside completely finished with his calm and charisma. Tommy Smith’s powerful and exciting tenor saxophone has a minimalist expression, and can sound hysterical, messy and then well fit into Arilds ton coils. The Dream Horse get Smith the opportunity to show just the opposite. Lyrical and dreamy he initiates with his flute, which he should pick up more than once.No jazz festival without Alfie, and here it is in Andersen’s fine vintage, giving the concert change of pace and dynamics. Paolo Vinaccias drumming synchronized well with the other members of the group sound. Everything fits like a glove – the trio has toured for years with these pieces of music. 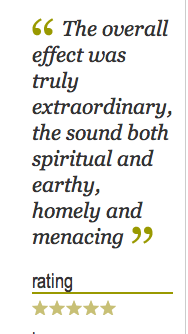 This is very evocative music that renews jazz and creates curiosity. 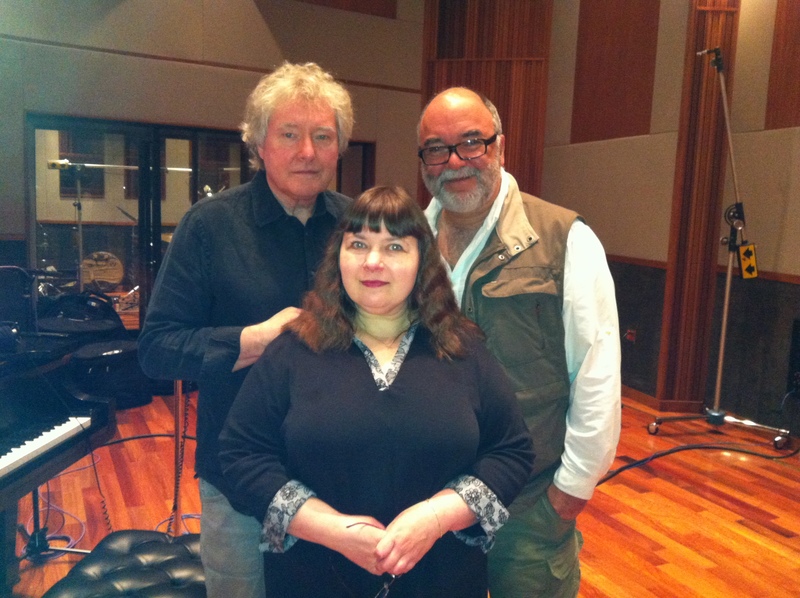 I just got back from Los Angeles where I recorded with Yelena Eckemoff and Peter Erskine at the fabulous The Bridge Studios with engineer Rich Breen. Here is a Japanese site where some musician tell their story and admiration for Sam Rivers. 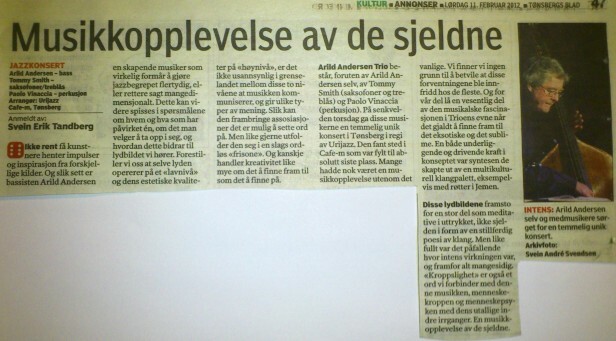 I played with him at Rivbea studio in New York a lot and my story is included here.